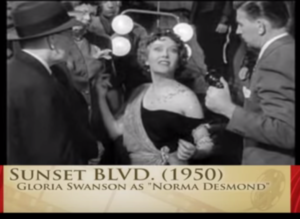 Norma Desmond, played by Gloria Swanson, in the film Sunset Boulevard, directed by Billy Wilder(1950). Those of you who are of the younger generation, may not quite be familiar with that quote. Many may recall that being on the silver screen was once a coveted and mysterious glory that only a select few glamorous stars who holed up in secluded sound stages were able to claim. Today, having your lovely mug seen and viewable across the world within a matter of minutes is not only attainable, it’s free, painless and can happen in the privacy of your own home. If Facebook Live is new to you, and if you want to get the word out about your latest product, project or passion, check out the next few lines. You’re sure to find a very new friend that can take your message around the world. Facebook Live garnered big headlines this summer as the social media giant tweaked its system to jump head-first into the live video realm – and try to gain back market share for users who were dabbling in Periscope. For those brands who have embraced Facebook Live, the returns have been overwhelmingly positive. Facebook currently sets its content algorithm to favor posts with Facebook Live video. Clients are seeing 4-5x exposure and 5-6x engagement with Facebook Live posts versus non-Facebook Live posts. Same account, same audience size, massively different results. Now this does NOT mean switch all posts to Facebook Live. But it does mean you should talk to Epiphany Creative Services about ways to integrate Facebook Live videos into your social media routine. Recently Lockeland Table celebrated its 4th Anniversary. Instead of marking the occasion with a picture and written post, Chef Hal and staff created a pair of Facebook Live videos to thank the community for supporting the restaurant; the videos drew over 1,500 views! And showcased the restaurant in a more impactful way than still images have been able to capture. 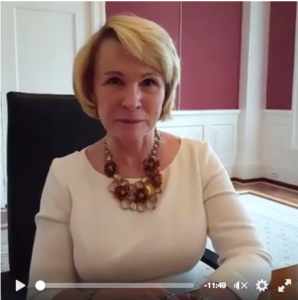 A couple of days later our very own Astronaut Dr. Rhea Seddon was honored as the first Facebook Live interview for the Schermerhorn Symphony Center’s facebook page. In less than 24 hours the video garnered over 1,400 views with strong fan participation throughout the 12 minute video interview. Capital Sportsman clothiers has seen similarly impressive results from its first foray into Facebook Live. And as fans get used to Lockeland Table or Dr. Seddon or Capital Sportsman participating on Facebook Live on a more regular basis, response rates will improve even further. The best part about Facebook Live is the ease with which it can be implemented into your social media strategy. With a smart phone and a good steady cell signal anyone can jump aboard. If you are not fully comfortable on camera, we recommend you practice first by recording a trial run or two on your cell phone and taking a couple of notes. And remember, it is perfectly fine to use an outline to help you keep on topic; even professional broadcasters use a teleprompter, no reason you can’t keep a notepad as well! Whereas most social media is intended to be short form – quick 140 character tweet, 3-4 line facebook posts – Facebook Live is best when you go slightly longer. It is recommended to stay live at least 7-8 minutes to give more people a chance to log-on, find you, and interact with you. And as you get more comfortable with Facebook Live, you can respond back to fans real-time in the middle of your videos, even solicit questions and host a live Q&A through your video feed! Whether it is a controlled somewhat scripted interview setting or a spontaneous off-the-cuff moment, Facebook Live can capture an audience and draw positive attention to your brand. Contact Epiphany Creative Services today and let us know you’re ready to jump in to Facebook Live. We can work with you from there to tailor a strategy that works best with your brand, your culture, your goals. If you give Facebook Live a chance, you will be pleasantly surprised by the results.